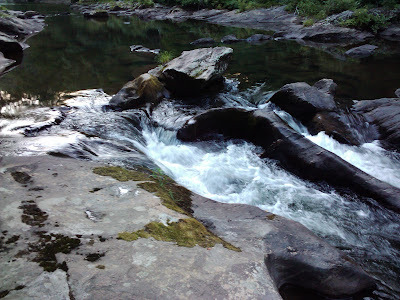 The first time I went to Carolina Hemlock Recreation Area was when I was the age of my 13 year old son — that was over 30 years ago. What is impressive is the significance of place for the establishment and longevity of community. I am connected to a network of people experienced the same place and consequently have an emotional connection to that place and buy default – -one another. The weekend was wonderful, and I am grateful for the comarderie and fellowship we enjoyed. I am especially grateful that a place dear to me was received and enjoyed by others. 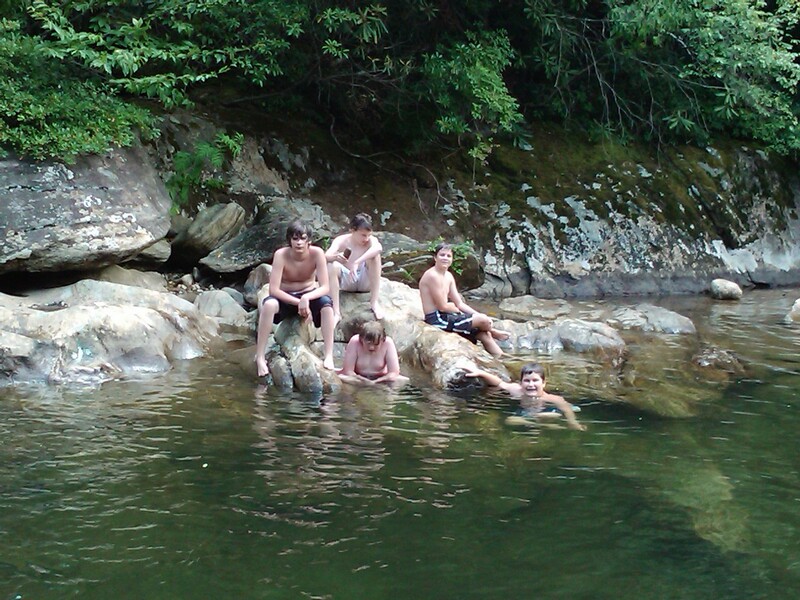 The gents in the first photo are sitting around and in what was called: The King’s Throne — a curious outcropping in the S.Toe River at a place called, The Rocks. It was named by others before me, but it became a part of the folklore of the community by which I had been adopted. Further down the river is another formation which is called: the Toilet Bowl. Here is where we took baths during our annual summer camping trip. Community is linked to location. I am hoping this will be an annual event which these young men will hand down to another generation. What places are important to you? What places have cultivated community in your life? 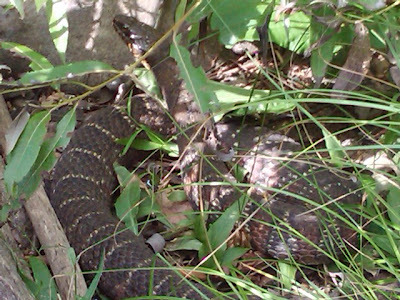 I couldn’t resist this picture of a water snake which we found sunning himself at The Rocks. Apparently, there were two water snakes — a mated pair. And in N.C. they are a protected species.